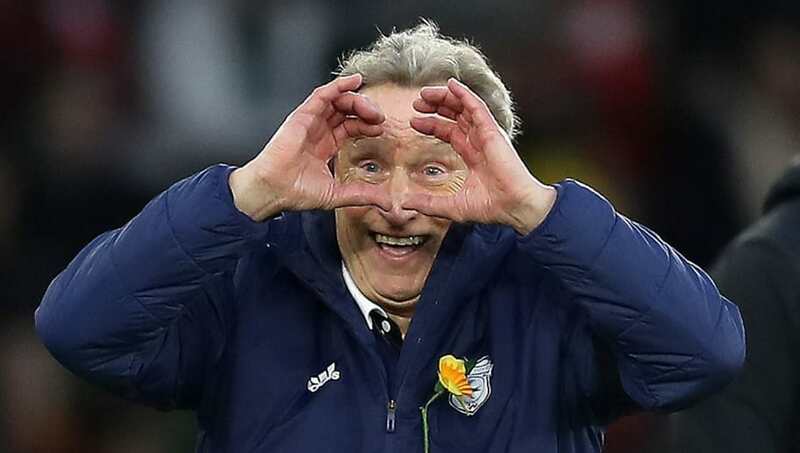 Neil Warnock believes his Cardiff players did the late Emiliano Sala proud as they scored a stoppage time winner to secure a 2-1 win over Southampton at St Mary's Stadium. After a very cagey first half, the game finally got its first goal with 20 minutes remaining as Sol Bamba stabbed the ball home at the back post to put the visitors ahead. It looked as though they'd done enough to secure the win, however they were pegged back in the first minute of injury time. A corner from James Ward-Prowse was put into a dangerous area with Charlie Austin flicking the ball on towards the back post where Jack Stephens was waiting to tuck the ball home and get his side back on level terms. The home fans went wild, however they were then stunned into silence just minutes later. In the fourth minute of stoppage time, substitute Kenneth Zohore managed to squeeze the ball into the bottom corner of Alex McCarthy's goal from 12 yards out to send the away fans into raptures and secure a dramatic ​2-1 win for the Bluebirds. It was ​Cardiff's first game since the confirmation of Sala's death on Thursday, and speaking to ​Sky Sports after the game Warnock insisted that his players did him proud with their performance. He said: "You don't concede in the 93rd and score in the 94th very often, it's all the highs and lows. "Their [​Southampton's] staff were celebrating when they scored, and quite rightly so. I can't describe it really, it all went quiet for me, I was oblivious to all the noise when the winner went in. "It was one of those times to have a think and I think we did Emiliano proud today for remembering him and that's a pleasing thing for me as well." It was an important win for the Bluebirds who have now climbed out of the relegation places in the ​Premier League table, and Warnock went onto admit that he feels he has the right players in his squad to survive relegation this season. He added: "It's a squad team, it's not just the 11 and I think we've got a decent squad now. We can fight on, we know what we've got to do, we need to keep our feet on the floor and the fans will be with us. You never know. "I've been at some good clubs but probably the circumstances, we shouldn't really have got promoted last year and all of a sudden, we're here and we shouldn't have got more than 11 points according to some pundits, so it's great to keep surprising people." Warnock will be hoping for more of the same from his players when they host Watford in their next Premier League game.